Though many remain undiagnosed, nearly 176 million people worldwide have endometriosis. 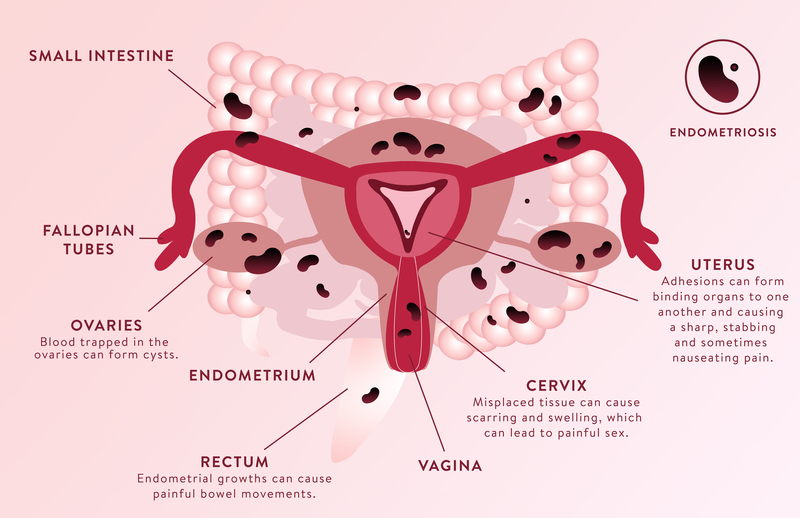 The chronic disease is the result of misplaced tissues growing outside the uterus in other parts of the body, such as the ovaries, bladder, fallopian tubes or anywhere else in the pelvic cavity, and it can cause pain and sometimes infertility. In more severe cases, endometriosis lesions can exist on the skin and in the lungs, spine and brain, according to Endometriosis.org. Wherever they are, they can lead to inflammation, scarring, bleeding and cysts. Take a look at the graphic below to get a better idea of how endometriosis can invade your reproductive system.